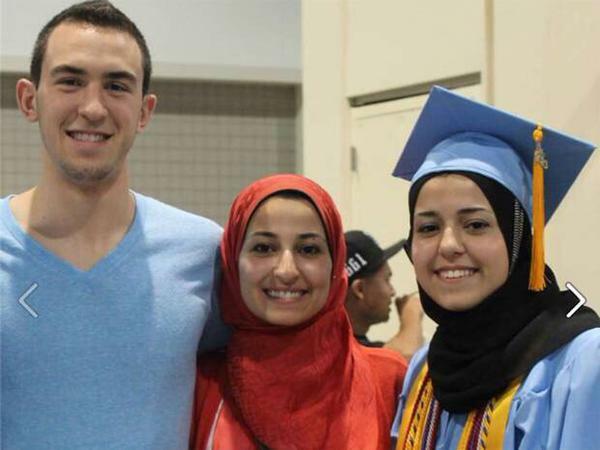 Three Muslim young people were shot to death in Chapel Hill Tuesday night. Yusor Abu-Salha. Images taken summer of 2014 at StoryCorps Durham, NC. Nazimi Albadawi was also good friends with the sisters' family, and with Deah Barakat. Albadawi is 23 years old, and says the murder of his friend is more than personal; he says it's a tragedy for the Muslim community in North Carolina. The families of the victims are some of the most generous people he knows. Albadawi says that he and many others looked up to Barakat. "He was one of the best people I know, definitely a role model for everyone in the community. He was honestly one of the best people I met in my life," says Albadawi. Update Wednesday February 11 5:22 p.m.
Update Wednesday February 11 4:23 p.m. The Chapel Hill police acknowledge there are concerns the shootings could have been hate-motivated, and they say they will investigate every lead to determine whether that's the case. But at this point, they continue to believe the crime was motivated by an ongoing dispute over parking between Hicks and his neighbors. Hicks had his first appearance in court before a Durham County judge this morning. District Attorney Roger Echols asked the judge to deny him bond. To determine whether Hicks was eligible to be appointed a public defender, Durham County Judge Marcia Morey asked Hicks about his income and his expenses. "My wife took care of all that," Hicks said. The judge said Hicks would be appointed a public defender and scheduled him to appear in court again on March 4. Update Wednesday February 11 3:46 p.m.
"People all over the world are talking about this. The picture that they're seeing is that there's a man who, he'd gone on Facebook and he'd written extensively about how he was an atheist (this is Mr. Hicks). "And then he killed three of his neighbors, two of whom were young women who wore hijabs. "So the picture that [the public is] seeing is that there's an atheist who killed three Muslims. "People want to make sure there isn't a double standard here." Jorge Valencia talks with Robin Young of NPR's Here and Now. Update Wednesday February 11 3:16 p.m.
WUNC's Reema Khrais has been talking with friends and family members of the deceased young people for a report that will air later today. Khrais says that though the police are indicating that the shooting is likely over a parking dispute, many Muslims want to make sure that the possibility that the shooting is a hate crime is fully explored. "If you look at social media and based on the conversations that I had with Muslims in the community and their friends, I think when you hear that someone barges into someone's apartment and kills three unarmed young Muslims, it makes sense that lots of folks have been quick to say that it could be a hate crime," says Khrais. "The Chapel Hill Police have come out and said that this was likely over a parking dispute, and I talked with the brother of Deah Barakat who was shot, and he told me that allegedly this neighbor had gone into this apartment before, over parking, and this was an issue that they had dealt with in the past. "There are folks from the Muslim community who are raising questions and trying to make sense of all this and trying to piece it together. And it's just, I think, a lot to take in. It's a huge tragedy for the Muslim community. "Everyone I talked with this morning had amazing things to say about [the young people.] How they were role models in the community, and how they couldn't understand why anything like this would even happen," says Khrais. Reema Khrais has been talking with family and friends of the shooting victims. Khrais talked Wednesday with Phoebe Judge. Update Wednesday February 11 3:13 p.m. There is a moment of silence planned during the NC State basketball game at PNC Arena tonight against the University of Virginia. There will be a candlelight vigil tomorrow, Feb. 12, hosted by the Muslim Student Association from 6-8 p.m. on the Brickyard. The vigil is open to the community. Senseless acts like this go against all of our beliefs. As I wrote in my most recent web letter to the campus community, a core value of NC State is respect for diversity in all its forms. We strive to maintain an environment where everyone feels safe, respected and valued. 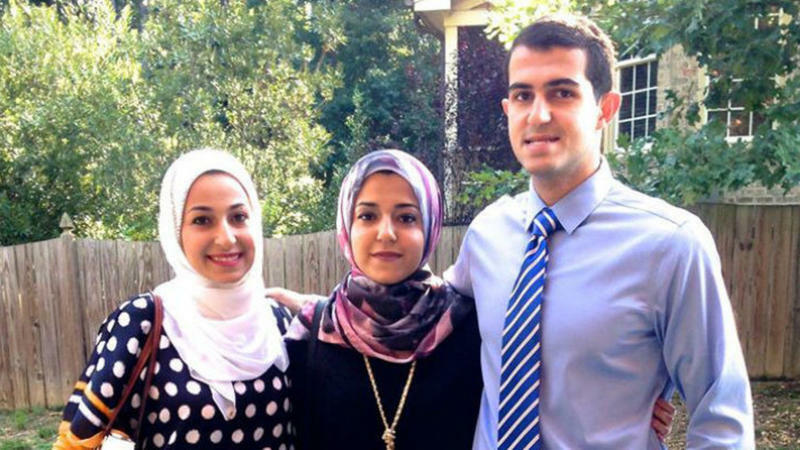 The News & Observer reports that the father of the two female victims, Dr. Mohammad Abu-Salha, is calling the triple murder a hate crime. "It was execution style, a bullet in every head. This was not a dispute over a parking space; this was a hate crime. This man had picked on my daughter and her husband a couple of times before, and he talked with them with his gun in his belt. And they were uncomfortable with him, but they did not know he would go this far.” >>Read the full story. Two 9-1-1 calls have been released. One caller indicated that she heard "kids screaming," and between five and 10 shots. 911 operator: Were they screaming words, or? Caller: No, just them screaming, and it was multiple voices. 9-1-1 call related to Feb. 10 shooting of three young people in Chapel Hill. Another caller heard around eight shots. "I hid behind a car. And then I waited...and I never heard gun shots before like that." Update Wednesday February 11 1:12 p.m.
Update Wednesday February 11 12:44 p.m. The suspect in the shooting deaths of three relatives near the University of North Carolina campus has made a first court appearance on murder charges. Forty-six-year-old Craig Stephen Hicks appeared briefly in an orange jumpsuit and shackles Wednesday morning. District Judge Marcia Morey said he would be appointed a public defender for the three counts of first-degree murder. She scheduled a probable cause hearing for March 4. He will be held without bond. Update Wednesday February 11 12:32 p.m.
A vigil will be held Wednesday at 7 p.m. at the Peace and Justice Plaza in Chapel Hill. Update Wednesday February 11 12:23 p.m.
Chapel Hill mayor Mark Kleinschmidt says the Chapel Hill Police Department is "using all available resources to determine whether hate was a motivating factor." All we know for certain at this time is that it was a senseless and tragic act surrounding a longstanding dispute. I share strong feelings of outrage and shock with my fellow citizens and University students -- as well as concerned people everywhere. We do not know whether anti-Muslim bias played a role in this crime, but I do recognize the fear that members of our community may feel. 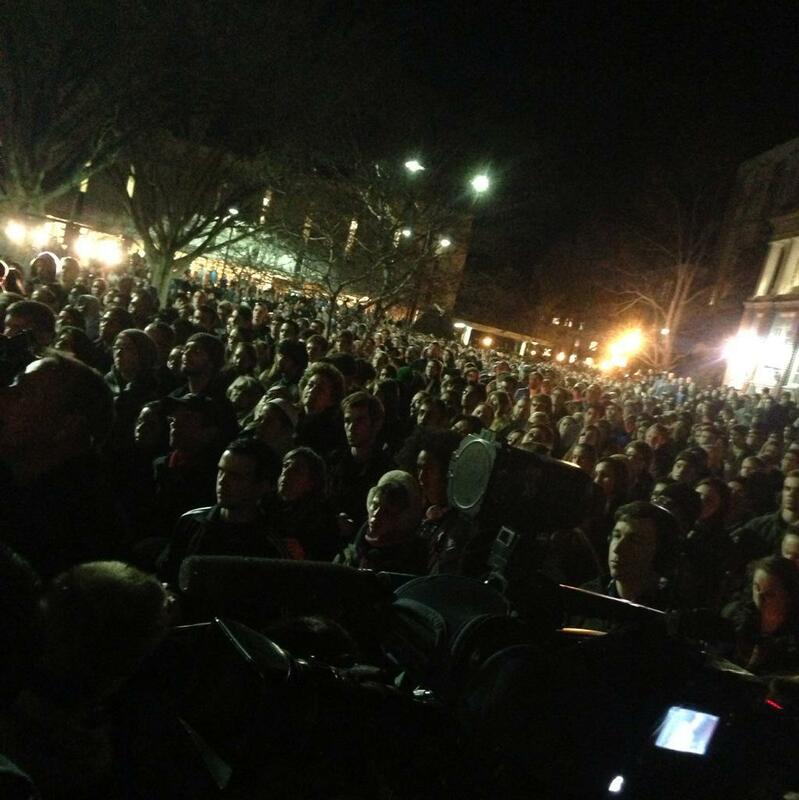 Chapel Hill is a place for everyone, a place where Muslim lives matter. >>Full statement. Omar Abdelbaky is a third-year student at UNC's School of Dentistry. Abdelbaky was friends with one of the victims, Deah Barakat. Abdelbaky is Muslim as were the victims. Though police have said that early signs in the investigation indicate that the killing is related to a parking dispute, Abdelbaky says that when he heard the news, his thoughts turned to the possibility that the crime was a hate crime. "There's just so much Islamophobic rhetoric going around on social media, on the actual media. And of course when three Muslims, especially ... like, two that wear scarves, where they are like clearly identified as Muslims are shot in their apartment it's... hate crime definitely comes to mind," Abdelbaky says. Abdelbaky attended Deah Barakat and Yusor Abu-Salha's wedding in December. He says that at that time, the couple was thrilled that Yusor had gotten into UNC's School of Dentistry, where Deah was already a student. "So I was at the wedding, and I know [Yusor] had just gotten into dental school and Deah was so excited that she got into UNC dental because that means that they would be together at the same dental school, and if she had gotten in to somewhere else, there would be a chance that they wouldn't be in dental school at the same place. I remember he was just so, so excited," remembers Abdelbaky. 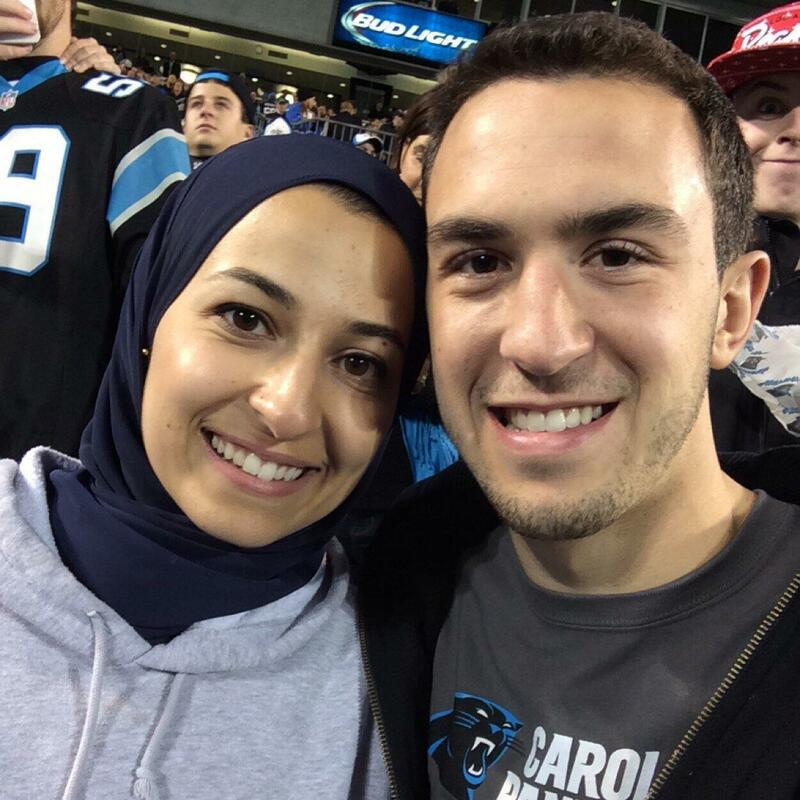 Nazmi Albadawi is a 23-year-old Muslim man who went to NC State with Deah Barakat. Albadawi is best friends with Yusor and Razan's brother. 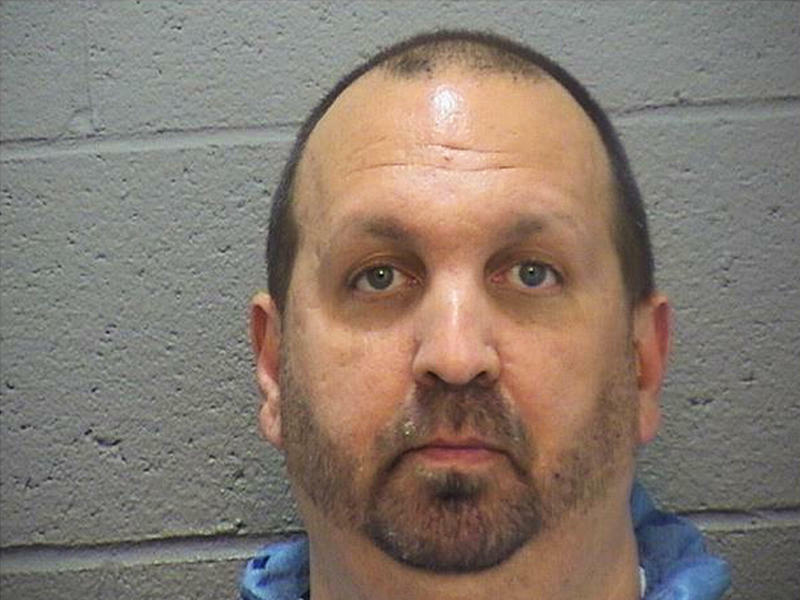 He says that the victims were a part of a tight-knit Muslim community in North Carolina. "The fact that it's these two families that are so well known, so well respected and so well liked... it makes it even...it hurts everyone. It's like everyone lost a member of their family, almost," says Albadawi. We are heartbroken and grief-stricken by last night’s devastating news, the incredible loss to our school and to the entire Carolina Community. 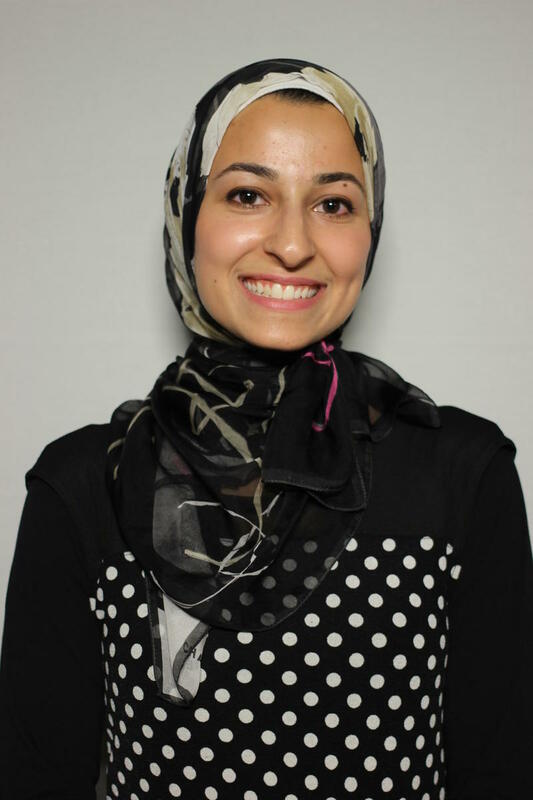 One of the shooting victims killed at an off-campus condominium complex has been identified as second-year dental student Deah Barakat. His wife, Yusor Mohammad Abu-Salha, and his wife’s sister, Razan Mohammad Abu-Salha were also killed in the shooting. Yusor was recently admitted as a member of the incoming DDS Class of 2019. Razan was a sophomore at N.C. State University. Deah was especially close to those of us at the School of Dentistry. A member of DDS 2017, Deah was known for his kindness, service-driven heart, love of basketball and his sincerity. A native of Raleigh, Deah earned his bachelor’s in business administration from N.C. State in 2013 prior to being admitted into our dental program. Deah was involved in many aspects of our dental school - including research with the Department of Pediatric Dentistry, serving as a co-president of the new Dental Student Ambassadors group and leading the charge for a dental mission trip to Turkey. He was well loved and respected within these walls, and we will feel his loss deeply. This is an incredible tragedy for our school, the dental community and the University. Today, everyone here is grieving. Our deepest sympathy goes out to their families and friends. 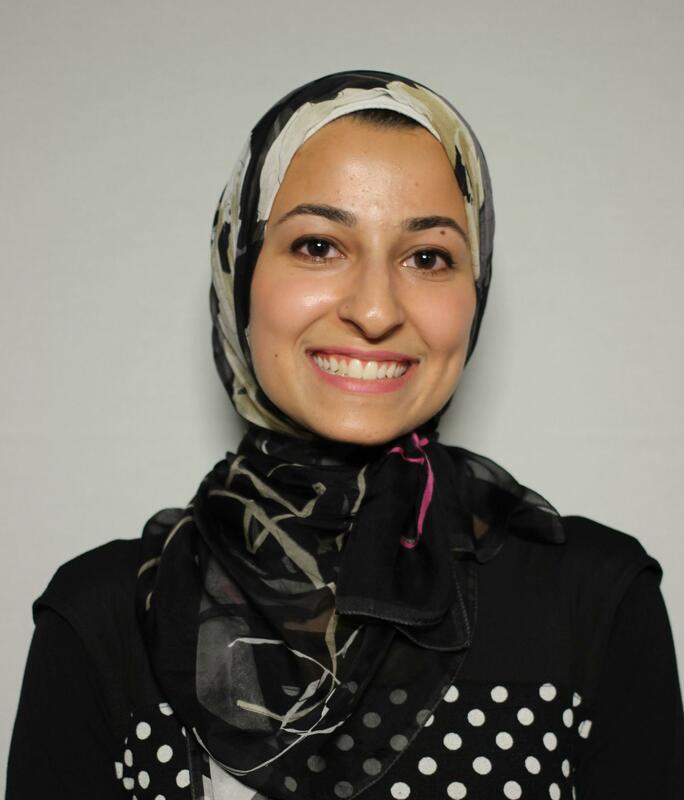 Update Wednesday February 11 10:57 a.m.
Razan Mohammad Abu-Salha was a student at NC State’s College of Design. Update Wednesday February 11 10:28 a.m.
One of the victims, Deah Barakat, was raising money to help Syrian refugees with their dental needs, according to friends who provided a link to a fundraising video about the trip. "Have you ever felt helpless about the situation in Syria and felt like you can't do anything about it? Well, this is your opportunity to help," says Barakat. "This summer I am embarking on a trip to Turkey with 10 dentists to help Syrian refugee students in need of urgent dental care. We'll be doing extractions, fillings, root canals and oral hygiene instruction to those most in need." The group planned to pass out toothbrushes and toothpaste in the refugee camps. Update Wednesday February 11 10:18 a.m.
It’s 7:17 p.m. and a woman is sitting on a curb on Summerwalk Circle, face in her hands, sobbing. The clock ticks to 7:42 p.m. Another woman breaks down after inquiring from police about her daughter and son-in-law. At 8:28 p.m., an uncle runs toward officers, begging for information about his nephew. The Chapel Hill shooting is making national and international news. "Residents of the area where the shooting took place were understandably shocked," said Razia Iqbal on the BBC NewsHour. A resident of the neighborhood said: "I'm kind of in shock, I'm really confused and I have been since 5:30. It's kind of turned the neighborhood upside-down." WUNC Morning News Producer Rebecca Martinez spoke with Iqbal about the developments in the case so far. WUNC's Rebecca Martinez talks with Razia Iqbal of the BBC about the shootings of three young Muslim students in Chapel Hill. Update Wednesday February 11 9:48 a.m.
Police have released a statement which indicates that the shooting was not a hate crime. Our preliminary investigation indicates that the crime was motivated by an ongoing neighbor dispute over parking. Hicks is cooperating with investigators and more information may be released at a later time. “Our investigators are exploring what could have motivated Mr. Hicks to commit such a senseless and tragic act. We understand the concerns about the possibility that this was hate-motivated and we will exhaust every lead to determine if that is the case. Our thoughts are with the families and friends of these young people who lost their lives so needlessly,” said Chief Chris Blue of the Chapel Hill Police Department. Update Wednesday February 11 9:40 a.m.
Friends of the three shooting victims have created a Facebook page with more information about the young people. The page includes photos of Deah Shaddy Barakat and Yusor Abu-Salha at their wedding which friends say was a month ago. Chapel Hill Police say they have arrested a suspect in the shooting deaths of three people at the Finley Forest condominiums east of the UNC Campus. 46-year-old Craig Stephen Hicks has been charged with 3 counts of 1st Degree Murder for the murders of Deah Barakat, a second-year student in the School of Dentistry and his wife, Yusor, who had planned to begin her dental studies here in the fall. Her sister, Razan, a student at NC State University, was also killed. According to a police statement at 5:11 p.m. Chapel Hill Police Officers responded to a report of gunshots in the area of Summerwalk Circle in Chapel Hill. When officers arrived, they located three subjects who had been shot. All three subjects were pronounced dead at the scene. WUNC has two reporters covering the news today. We will bring you more as the story develops. The FBI announced last night that it will open its own inquiry into the Chapel Hill shootings this week that left three young people dead. Chapel Hill Mayor Mark Kleinschmidt told WUNC's Eric Hodge that he's grateful for the agency's help. He says it could be instrumental in determining whether the suspect, Craig Stephen Hicks, committed a hate crime. "The motives of this individual are so foreign to all reasonable and peace-loving people. Its very difficult for any of us to understand how anyone could be motivated to behave in this way over any circumstance." One of the victims of the shooting in Chapel Hill this week recorded an interview at the StoryCorps Mobile Booth in Durham, N.C. last summer. Yusor Abu-Salha brought her former elementary school teacher, Sister Jabeen, to the booth.